What child doesn't have a fascination with dinosaurs. 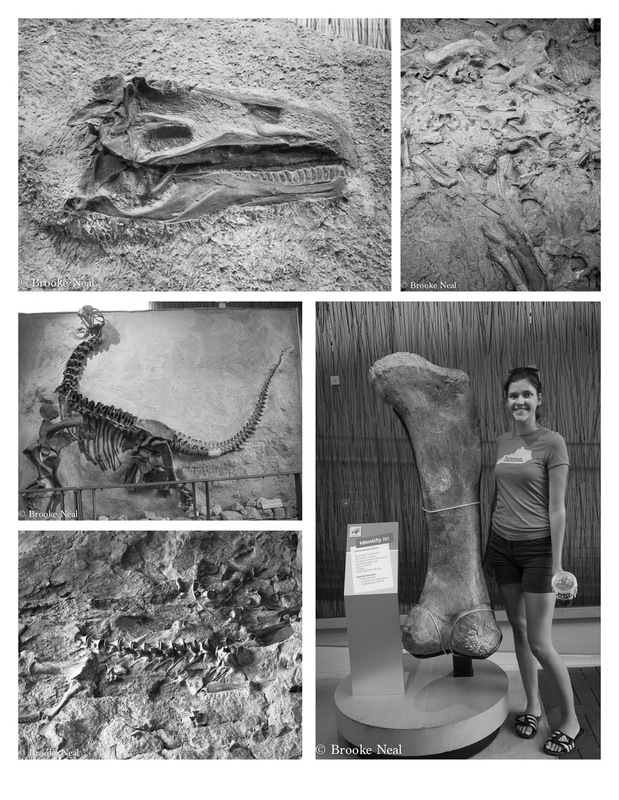 Recent movies do their best to keep them in our imagination, but at the Dinosaur Monument you can see actual dino fossils in the very sediment they were buried in millennia ago. Since we were in the neighborhood, so to speak, we decided to take a quick trip to the monument and I am so glad we did because it is pretty amazing. The monument itself is small and doesn't take long to visit, but for those with more time and inclination, there are family friendly hikes and trails in the area. The idea for a monument was the brainchild of Earl Douglass, an early excavator in the area. In a 1923 letter written to the Secretary of the Smithsonian Institution he said, "I hope that the Government, for the benefit of science and the people, will uncover a large area, leave the bones and skeletons in relief and house them in. It would make one of the most astounding and instructive sights imaginable." I agree, it was fascinating and with a park ranger on hand to answer your questions it's a real hands on opportunity to get up close with fossil bones. Time: If you don't plan to do any hiking, one hour is sufficient. 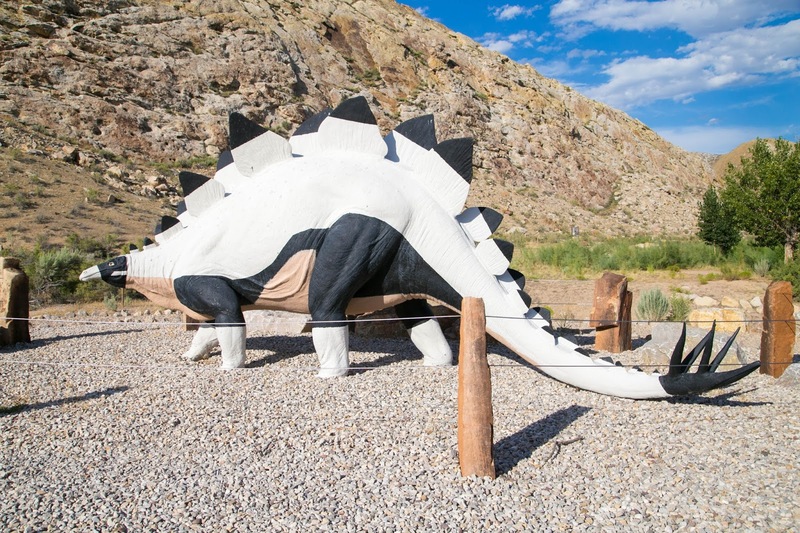 Tip: A shuttle bus runs every 15 minutes during peak season between visitor center and dinosaur quarry.